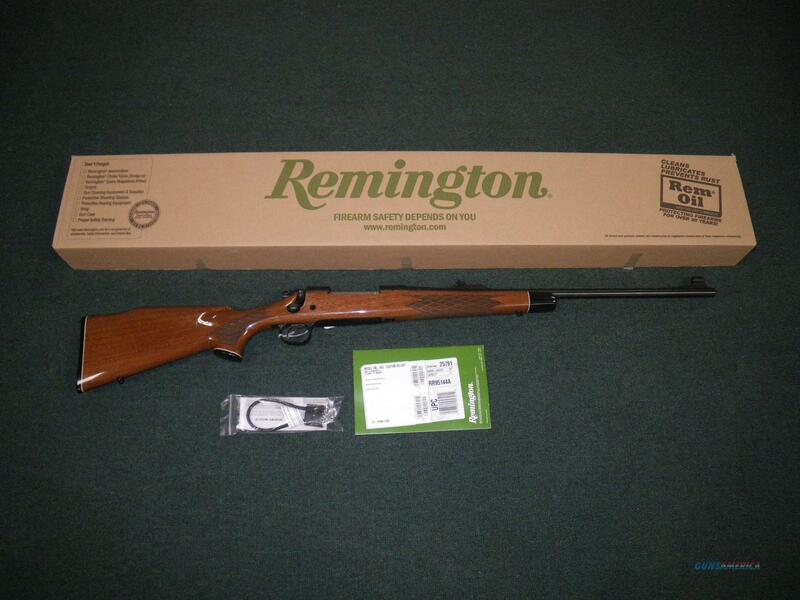 Description: You are bidding on a new Remington Model 700 BDL in 7mm Remington Magnum with a 24" barrel. The Remington Model 700, a rifle with no equal, and a superior performer in every way. Its accuracy and dependability have become the standard by which all other centerfire rifles are measured and continually fall short. Still the most accurate rifle out-of-the-box, the Model 700 brings its famous action and renowned consistency to this diverse family of guns—all equipped with our externally adjustable X-Mark Pro trigger system. Its strong, smooth action, consistent accuracy, classic beauty and unequaled value have made the Model 700 BDL the hunter's favorite for 40 years. The high-gloss American walnut stock is enhanced by a distinctive black fore-end cap, Monte Carlo comb with raised cheekpiece, and generous skipline cut checkering. Metalwork has our rich, deep bluing for beauty and protection. Features include a hinged magazine floorplate, sling swivel studs, hooded ramp front sight and adjustable rear sight. Displayed images are stock photos. Any questions please feel free to ask (our phone number is in the additional information tab above).